As part of BESTScience!, teachers will be given access to reserve full laboratory kits including all consumables and equipment required to implement the curriculum learned in the summer teacher workshop. Along with the Lab2Go kits teachers will have access to communicate with staff at Ochsner and LSU. For Experiment Protocol Instructional Videos, please click here. In contrast to typical chemistry labs, procedures in modern biology research laboratories, - including the laboratory exercises in the curriculum modules provided by the BEST Science! program - require the use of very small volumes of liquids often in the microliter (μl) range . Measurement of such small volumes of liquids, typically between 1-1000 μl (or one-millionth to one-thousandth of a liter), requires the use of specialized instruments called micropipettes. When working with these volumes, small errors in pipetting can result in large variations in the concentration of chemicals in the solution leading to inaccurate experimental data or even failed experiments. The four exercises in this introductory module are meant to familiarize students with micropipetting techniques. To determine the rate of apoptosis, scientists can measure caspase 3 protein activity in cancer cell lysate. In this lab, students will complete a simulated caspase 3 colorimetric assay to determine the apoptotic ability of two previously isolated natural compounds. Caspase 3 is activated in the preliminary stages of apoptosis. In the presence of active caspase 3, the chromophore p-nitroaniline (p-NA) is cleaved, producing a colored product. If there is caspase 3 in the sample, the color substrate will react to form a purple color. 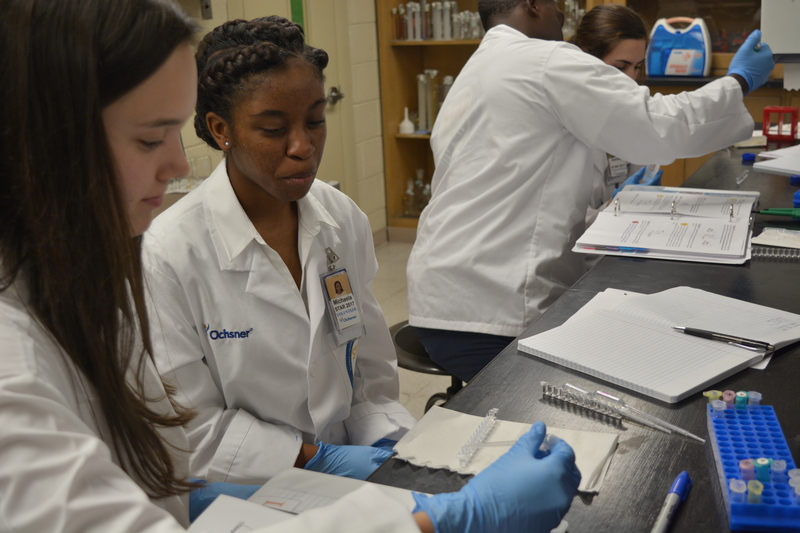 In order to get a quantitative result, students will transfer the sample to a cuvette and measure the absorbance of the sample using a spectrophotometer. With the spectrophotometry readings, students will calculate % cytotoxicity and draw conclusions for each possible cancer cell therapy. In this experiment, students will explore the spread of a disease agent . Each student is given a tube of “body fluids,” one of which is infected with a “disease agent.” Students then trade fluids with 2 or 3 other students and test the shared fluids by ELISA to find out who is infected. In an ELISA, enzyme-tagged antibodies that target the “disease agent” are added to the wells. A color substrate reacts with the enzyme, producing a blue color. Samples infected with the “disease agent” will turn blue, while uninfected samples will remain clear. Using the class results from the ELISA and information on how “body fluids” were shared, the class attempts to determine the initial infected student. GMO - Are Genetic Engineers playing with your food? In the GMO experiment, students will determine whether their favorite snacks contain GMOs. This experimental module is divided into three parts. 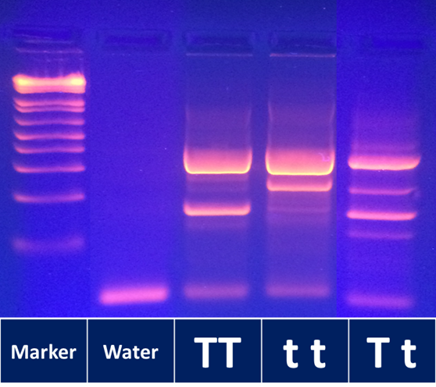 The students will isolate DNA from snacks brought from home, amplify gene segments specific to genetically modified organisms by polymerase chain reaction (PCR), and then analyze the PCR products by agarose gel electrophoresis. 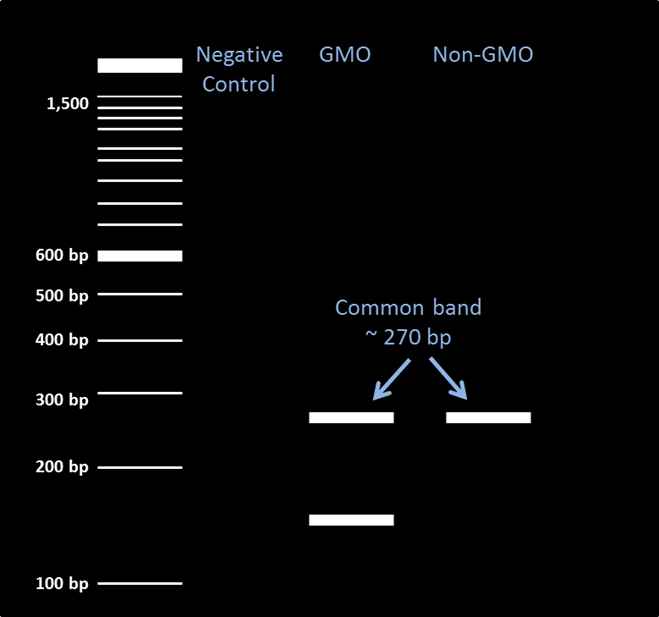 Student will compare the DNA band patterns of the snacks to GMO-positive and GMO-negative controls to determine if the snack originated from genetically engineered crops. In this protocol, students will also discuss the history of GMO (genetically modified organism) and the steps in producing a GMO plant. Students will use their knowledge about Diabetes to predict the diabetes status of 3 patients. Then they will test the mock patients’ blood glucose concentrations by constructing a standard curve on the spectrophotometer. After creating a relationship between absorbance and blood glucose concentration, students will obtain an absorbance reading for each patient samples using the spectrophotometer. 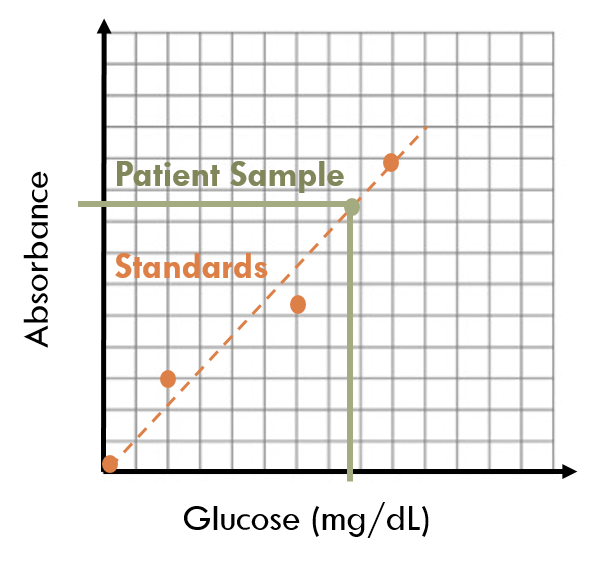 Then using the standard curve to interpolate, students will determine blood glucose concentration for each patient. Finally, students will compare the patient results to ranges provided in the data analysis section corresponding to diabetes, pre-diabetes and non-diabetes to make a conclusion. A mock patient enters the hospital with a painful cough, high fever, chest pain when breathing, and shortness of breath. The doctor has determined that the patient has a bacterial infection. To determine the bacteria causing the infection, the doctor collected a sample of mucus from the back of the patient’s throat using a sterile cotton-tipped applicator. The bacterial culture did not grow very well in the lab, so plasmid DNA (bacterial DNA) was collected from the sample instead. Here, students are provided with the unknown plasmid DNA (referred to as pDNAx) that may or may not harbor one or more antibiotic resistant genes (ARGs). By transforming pDNAx into E. coli and testing growth in the presence of several different antibiotics, students will be able to identify the specific ARG(s) residing on pDNAx and suggest an appropriate treatment for the patient. This experimental module is divided into two major units. In Unit I, students will learn how the variability in PTC tasting ability was discovered, the pattern of inheritance and associations with disease. Students will be asked to help out a friend doing a research project on using TAS2R38 gene variants to assess risk of developing colon cancer. 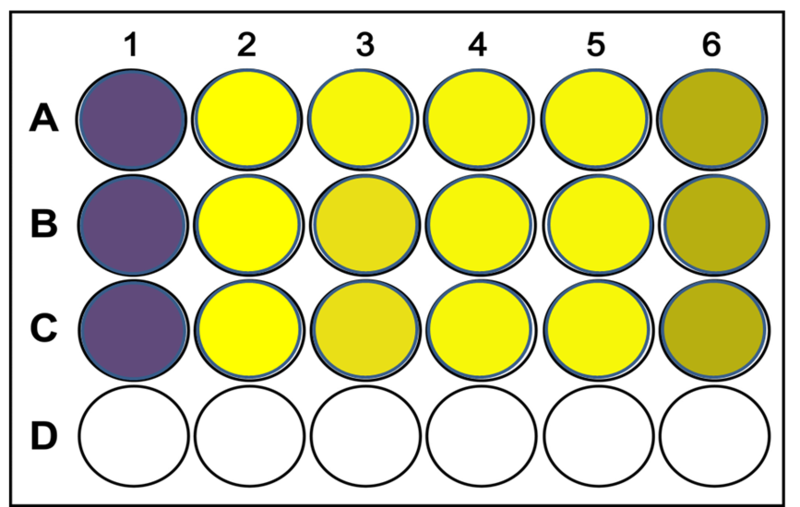 Based on data given by the friend, students are asked to construct a pedigree chart and use it to determine genotypes based on the bitter tasting phenotypes. In Unit II, DNA from selected family members will be tested to confirm TAS2R38 genotype using polymerase chain reaction (PCR) and agarose gel electrophoresis. Students will then use this data to fill in any missing genotypes from the pedigree chart and determine which of the family members have an increased risk of colon cancer. Students should be able to offer reasonable explanations for any discrepancies between predicted and actual results. Overall, this module will illustrate the modern concept of pharmacogenomics—where a SNP genotype is used to predict drug response. This lab is comprised of two independent units. In the first unit students will carry out a chromosomal analysis by preparing microscope slides with normal and HeLa cervical cancer cells stained to visualize the chromosomes. Students should be able to observe differences in chromosome number and structure between the two cell lines. In the second unit students will carry out cytological and DNA analyses, again in context of cervical cancer. In this unit, students will interpret Pap test data in order to make a prediction about HPV DNA testing results. Students will be given Pap test images and asked to determine the cervical cancer risk and HPV DNA status based on the information learned in the introduction about abnormal cell characteristics. 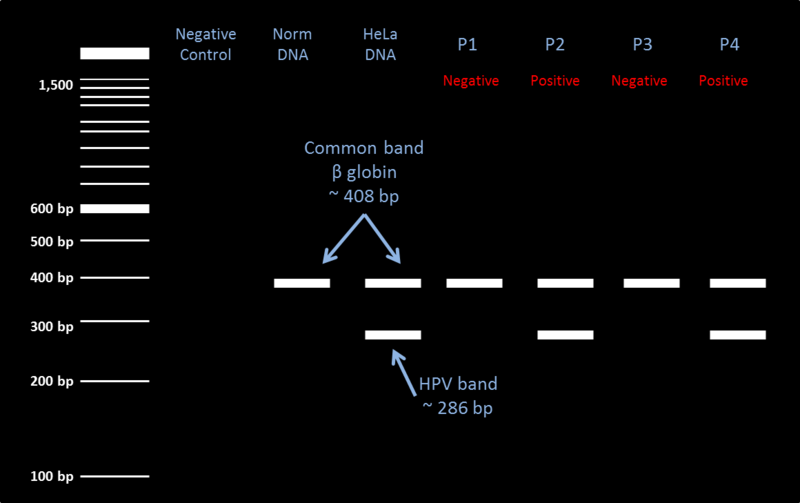 The class can compare selected risk levels and HPV DNA predictions. 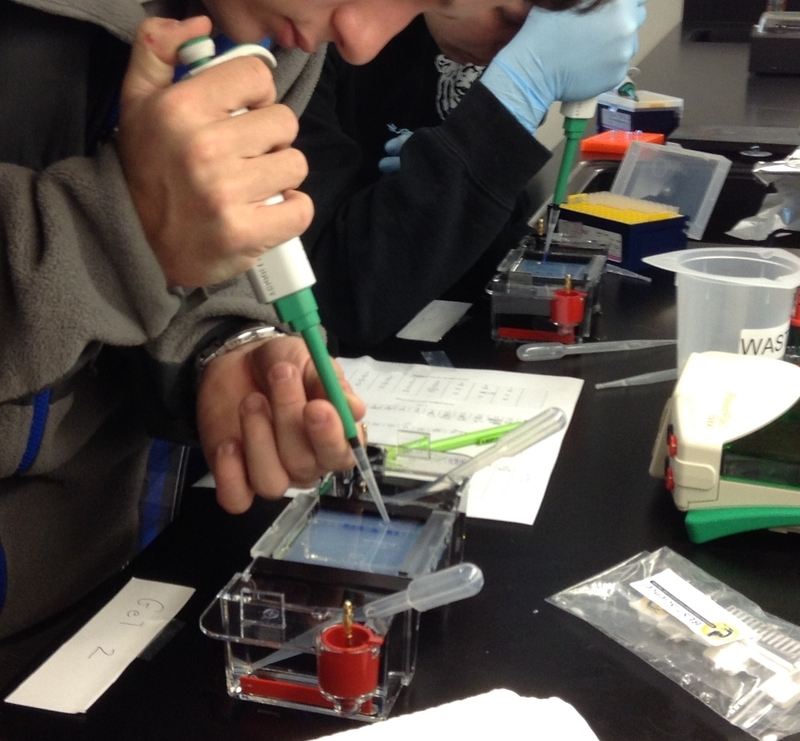 Then, the students will perform PCR on the corresponding samples to determine the accuracy of their predictions.